Since I’ve only been really cooking a few years, I have yet to build a huge arsenal of clean holiday foods. This recipe for Lemon Cranberry Sauce is the exception to that rule. I found the recipe in Clean Eating, and I’ve made it for at least the last three Thanksgivings. I’m making it again this year for both my work and my family Thanksgiving. I found Sucanat at Whole Foods, but I’m sure it’s available in other healthy food stores. Using a vegetable peeler, remove zest from half of the lemon. (NOTE: Remove colored part only, avoid the white pith.) Cut peel crosswire into thin slices. Save remaining lemon for another use. Set aside 1/2 tsp lemon peel. 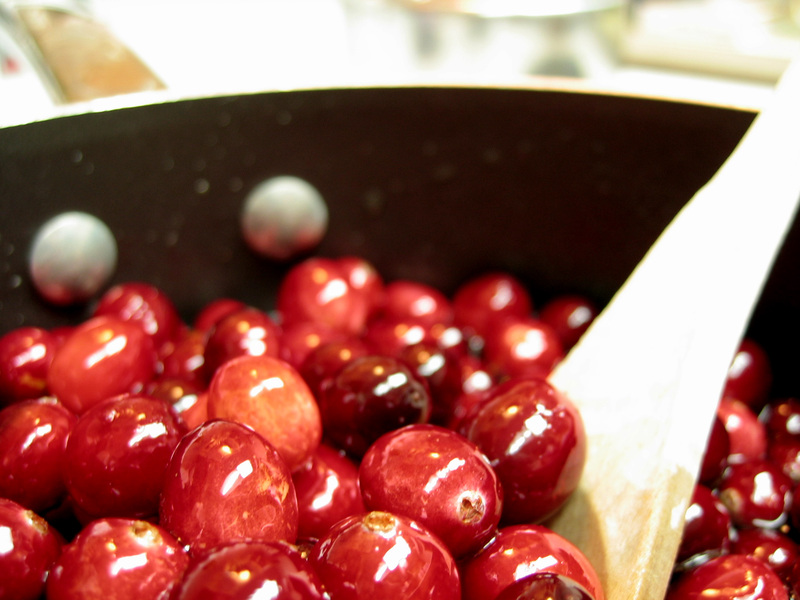 In a medium saucepan on medium, combine remaining lemon peel, cranberries, Sucanat, 3/4 cup water and salt. Bring to a boil, then reduce to a simmer and cook, stirring occasionally, until most cranberries have burst, about 10 minutes. Transfer to a resealable container or serving dish and set aside to cool to room temperature. Chill in the refrigerator. Serve chilled. Before serving, garnish with reserved 1/2 tsp lemon peel. This entry was posted in Cooking, Health, Holidays, Mary Pat Baldauf, Recipes, Thanksgiving and tagged cranberry sauce, every woman blog, healthy recipe, lexington medical center., mary pat baldauf, Thanksgiving by lexingtonmedicalcenter. Bookmark the permalink.